10:50pmET: Week 8 Projections updated. Next update Sunday around noon. -- LAC already lost an OG for the season, and now they lose RT Joe Barksdale for this game. -- Starting Center Justin Britt expected to be out this game…another reason to like HOU and the point Sunday. -- Just when Vance McDonald gets going…he gets hurt. Out this week. -- Mason Foster on IR…Will Compton may come back into IDP play for the Redskins, but the ILB job will probably go to Martell Spaight. -- Brent Grimes is out for TB…it should be a field day for Carolina. 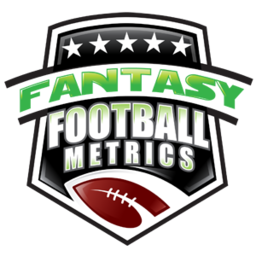 -- Folks staring down Week 9 and 10 BYEs, of you are prepping ahead at QB you might shocked what's on waivers in 12-team leagues...like nothing in some cases. Remember, 6 teams on BYE this week and everyone is scrambling -- and six more on BYE next week. Get your QB2 for BYE week locked in ASAP if you need to. -- WR name to consider picking up now off waivers (if out there), on his BYE, one I hadn't realized how useful he was working -- Marqise Lee. He had 0 rec. on 4 targets opening week, and the Jags passing game no one cares about but Lee is 'the guy' for PPR on the Jags...4.0 rec., 60.5 rec. yards, but 0.0 TDs per game. The Jags are all run and teams are stacking against the them -- there's room for a play action pass and wide-open Lee. -- Terrelle Pryor? One value right now -- I think he has a good chance of getting traded. Where? Who knows. Kansas City? Pittsburgh if Bryant dumped? Dallas? Chicago (they should)? -- Since I mentioned my surprise at how fairly people have been trading for Dak Prescott the past two weeks, I got several emails backing that up. I'm utterly shocked at how 'easy' it is to get the #1 QB in fantasy. Not a steal, but a fair deal. Man. I say go for it. The guy might be the best QB in all of football right this second (with Rodgers down), better than Brady all things considered...not saying that FF-wise, but NFL-wise.